Hello and welcome back from the Bank Holiday weekend! I hope you all had a wonderful break. Did the sunshine where you are, I do hope so? I had a lovely couple of days off and am now ready for a very busy week ahead! 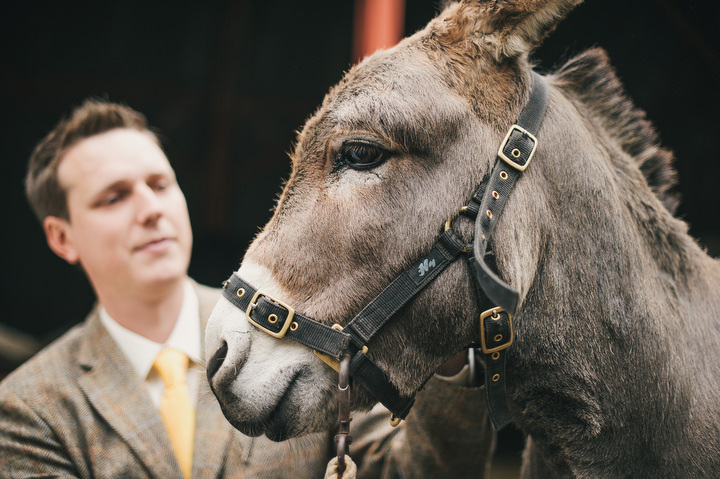 I have a fantastic wedding for you today, that I truly wish I’d been a guest at. 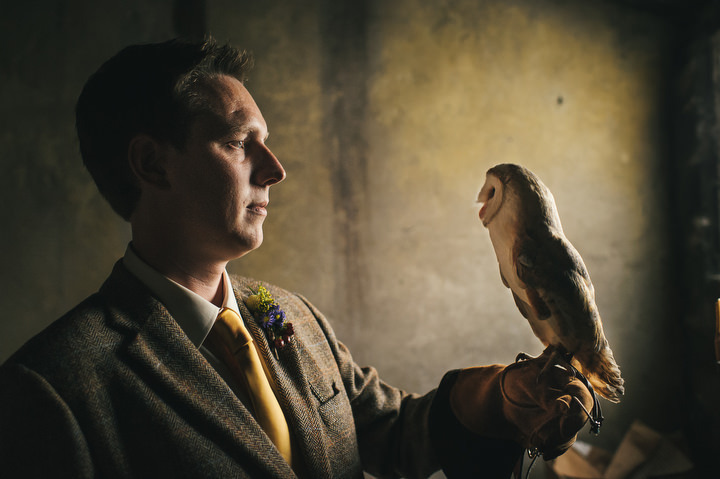 When the groom is a zoo keeper then you know there has to be a good amount of animals at the wedding, and this wedding consists of donkeys (my favourite) and owls! as well as lots of animal themed decoration. 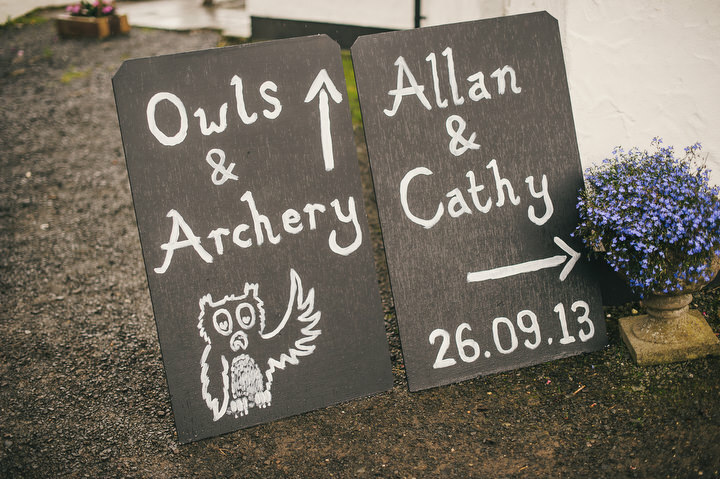 Mixed in with the animal theme was a book theme, as well as a trip to the local vintage sweet shop and a go at archery! 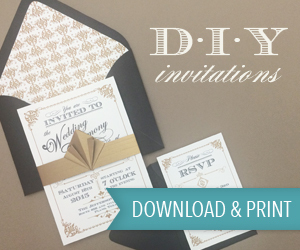 So much fun stuff for the guests to do! 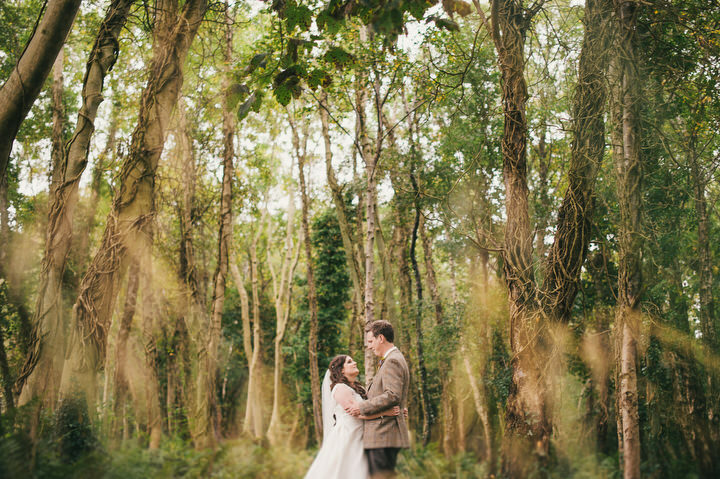 The wedding also looks amazing with a really rustic autumn feel to it, all captured beautifully by the wonderful This Modern Love. It was a day full of love, laughter and happiness shared with our closest family and friends. It was absolutely perfect. 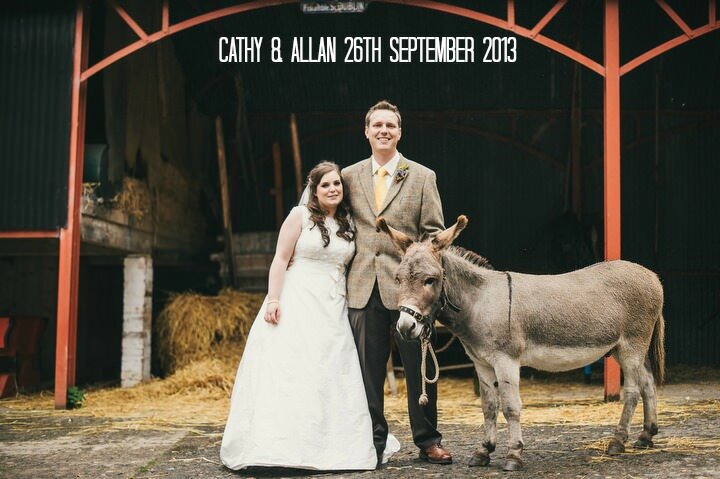 Cathy and Allan were married in front of 60 guests on 26th September. 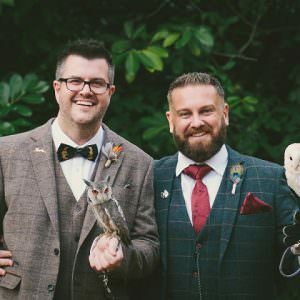 The ceremony was held in Cultra Manor in the Ulster Folk and Transport Museum in Northern Ireland with the reception in a local bar and restaurant, called Billy Andy’s in Raloo. 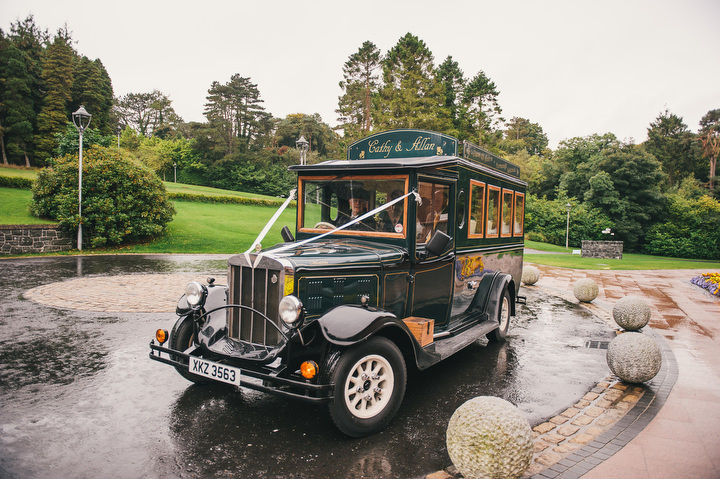 “We considered a number of locations around Northern Ireland but we always came back to the Ulster Folk and Transport Museum. It was somewhere we had both visited regularly as children with our families and together as a couple. 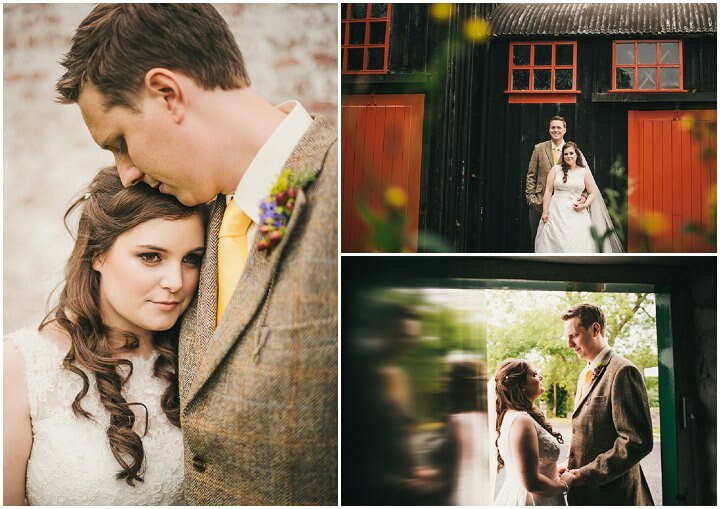 The manor house was a beautiful location for the ceremony and we were immediately excited about the prospect of having our wedding photography in the town and countryside of the museum. 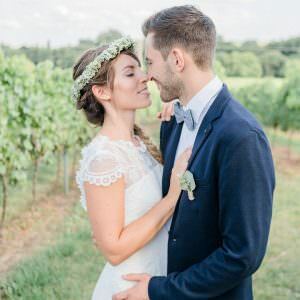 From the very moment that we got engaged, we both knew that we wanted a wedding that was small, intimate, personal and informal. We had been to Billy Andy’s in Raloo a number of times for meals but were unaware that they held wedding receptions. 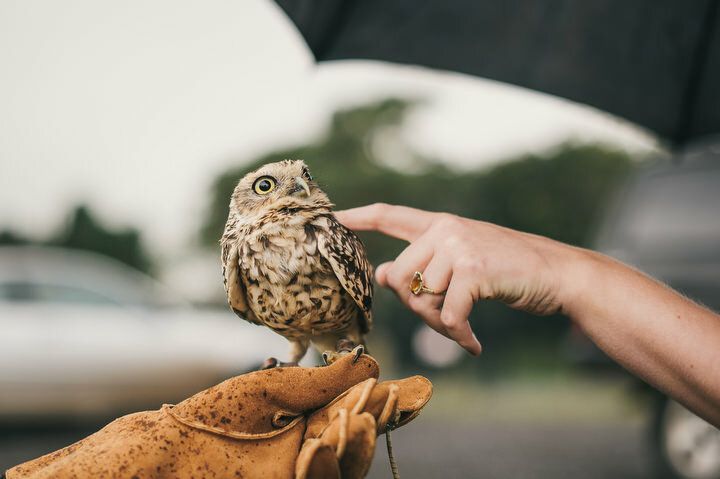 We simply struck up a conversation with Anna, one of the owners, and were delighted to discover that it would be a possibility. 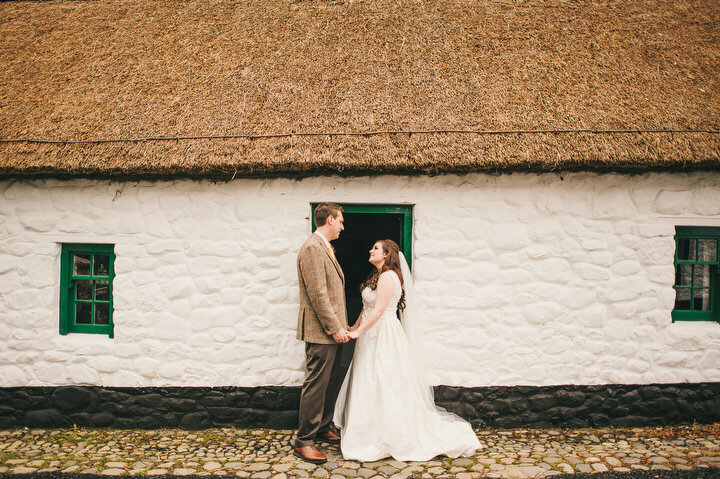 We adored the vintage and rustic style of the building and the pub areas, with open fires, a warm welcome and lots of character. Most importantly the food is the best for miles around! We have been together for over six years. Allan is a zoo keeper at Belfast Zoo (what can I say, he’s a ‘keeper’) and we met when I joined the marketing team at the zoo, in 2007. My family always spent holidays at Fermanagh Lakeland Lodge , in a cottage nestled beside the shore of Lower Lough Erne. It’s a place that has always held some of my happiest memories growing up. We had been to the lodges a few times together and it started to be an important place to both of us. Allan organised a weekend stay in August as a surprise. In the evening we had a lovely home cooked meal together and relaxed by the open fire! We were chatting on the balcony, when Allan went down on one knee and proposed. It was a really special moment! We had a rough overall budget that we knew we had to stick to but we don’t have particularly expensive tastes to be honest. 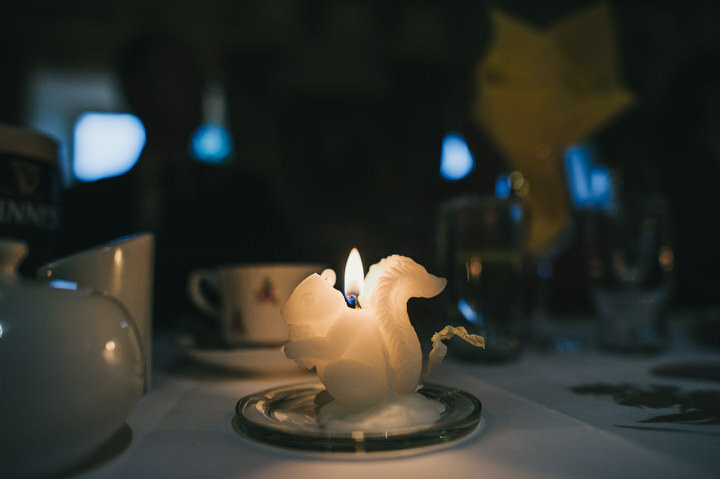 If something was expensive that we really wanted for the wedding then we compromised for other elements. 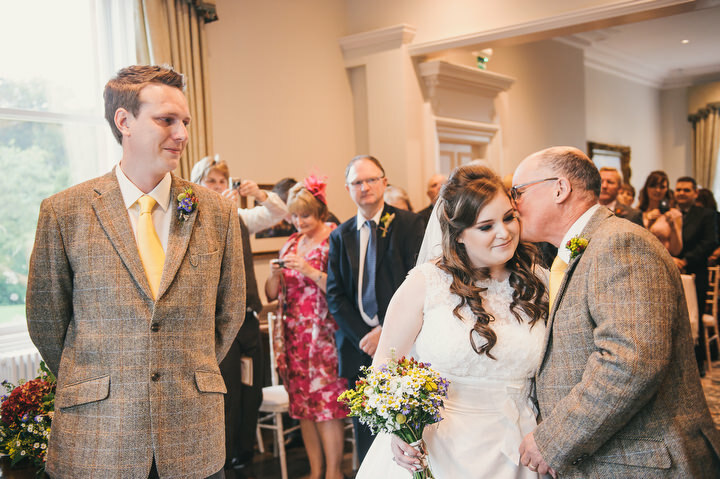 For example, we really wanted the groom, father of the bride and the best man to have their Harris tweed jackets but we were able to find the usher’s tweed waistcoats on ASOS for under £20. 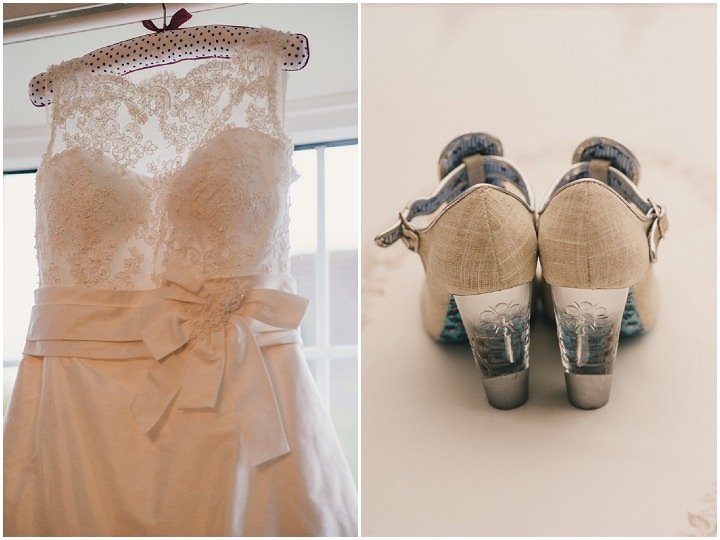 The bride’s dress, groom’s suit, photographer and stationary all were priorities for us. 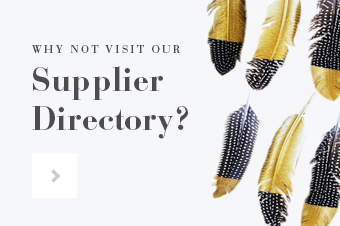 Everything else seemed to fall right into place and we were lucky to work with so many professional suppliers who met our vision exactly! This modern love photographed our best friends’ (who were also bridesmaid and usher at our wedding) wedding. 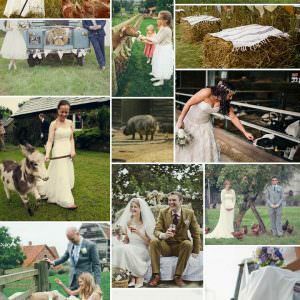 After seeing the images that Tim captured for their day we knew that there was no other alternative. 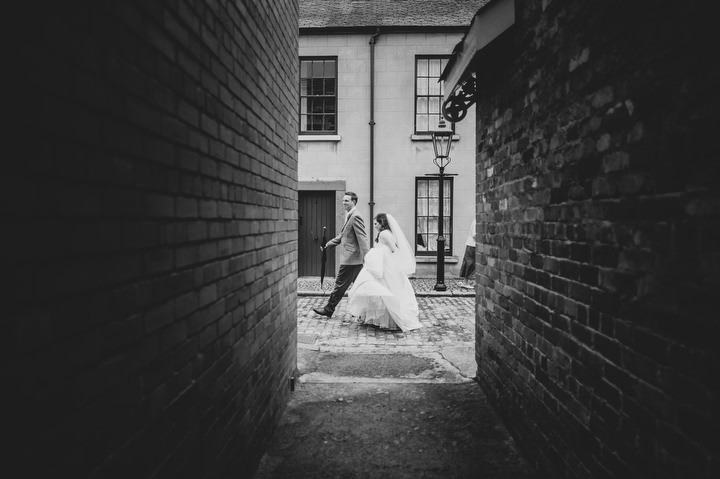 Tim has a vision and talent like no other photographer and his photography captured every magical moment of our day perfectly. In fact everyone we showed the slideshow of images to ended up in tears. 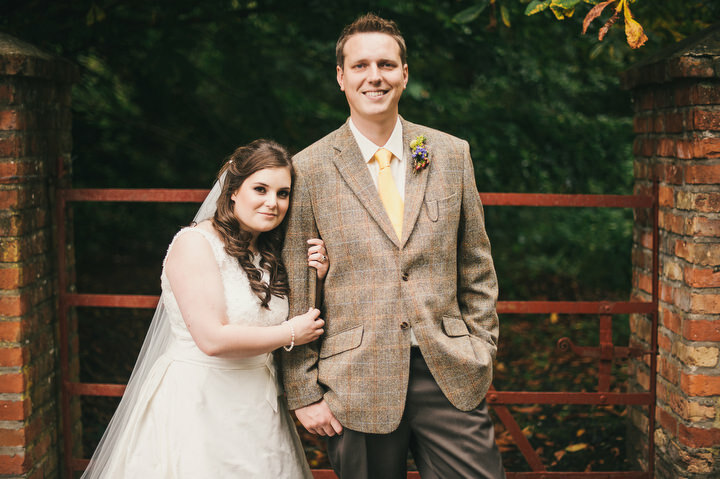 Both Claire and Tim were an absolute pleasure to work with and we cannot recommend them enough! 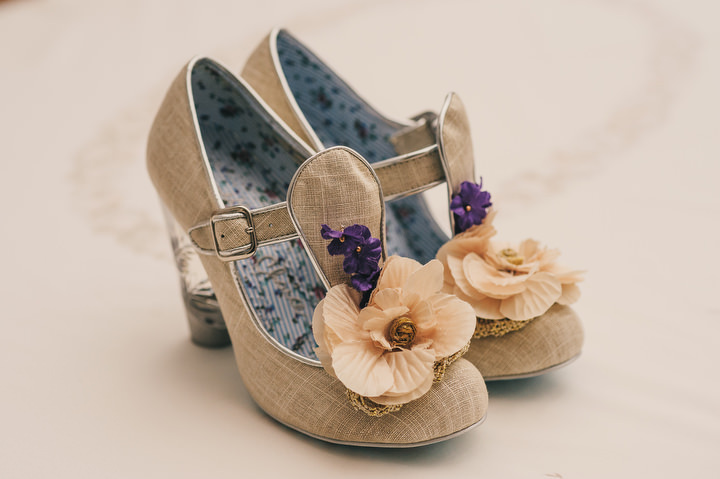 It was Paloma Blanca and the shoes were Irregular Choice. 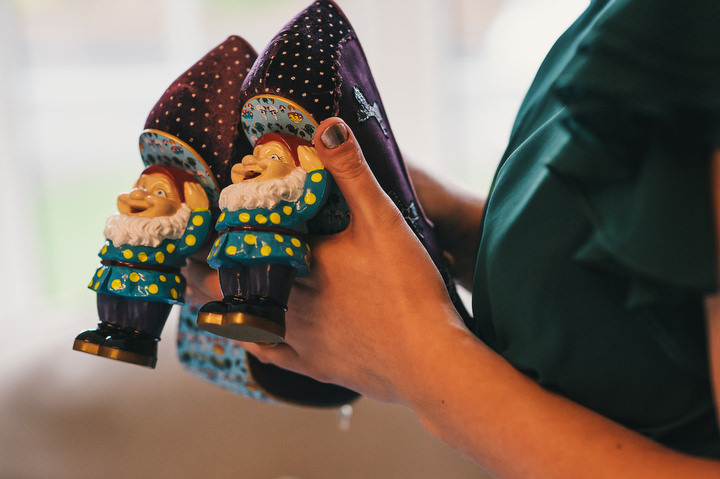 The gnome shoes which were worn at the reception were also irregular choice and were a little bit of an in-joke as Allan has a slight fear of gnomes. I stuck to minimal accessories so just had a pearl hair clip from accessorize and Allan gave me a pearl bracelet as a wedding day gift. 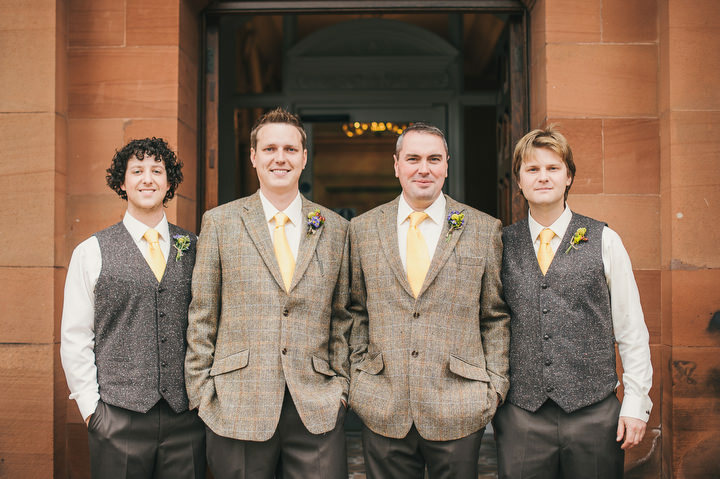 Allan, the father of the bride (John) and the best man (Raymond) all wore Harris tweed jackets from Wallace’s in Ballymena. 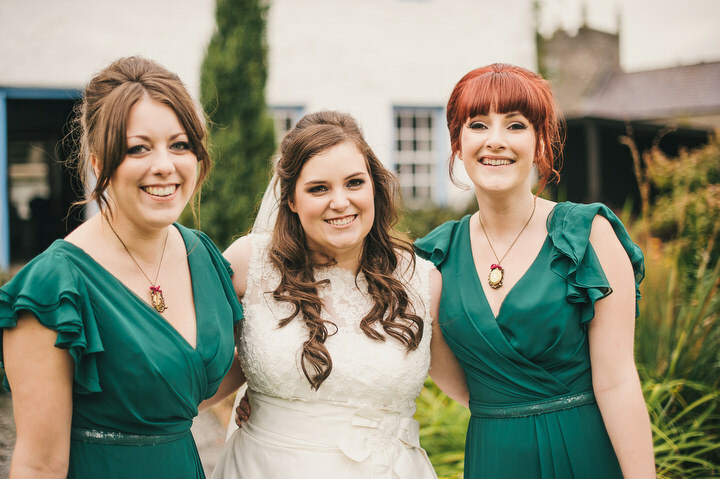 The bridesmaid wore green dresses by Dessy. We really didn’t have an overall theme for the wedding. Everything we selected was just ‘us’ and things we liked. The style just fell into place based around this. 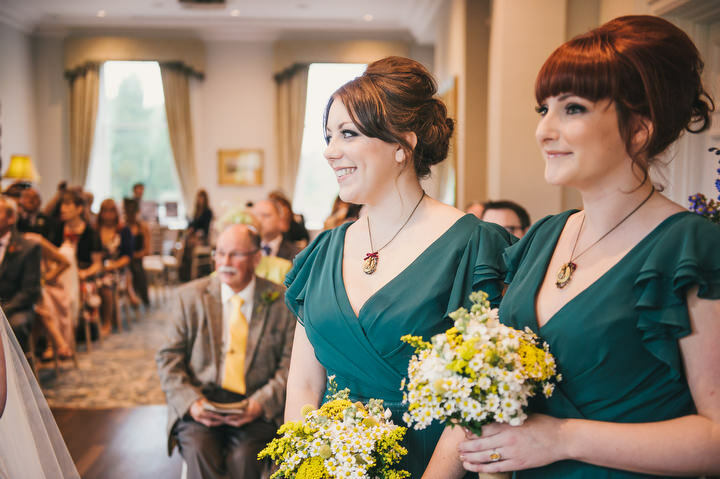 Yellow is our favourite colour and we then just added elements around that, for example the girls’ green dresses. We both absolutely love reading and books. 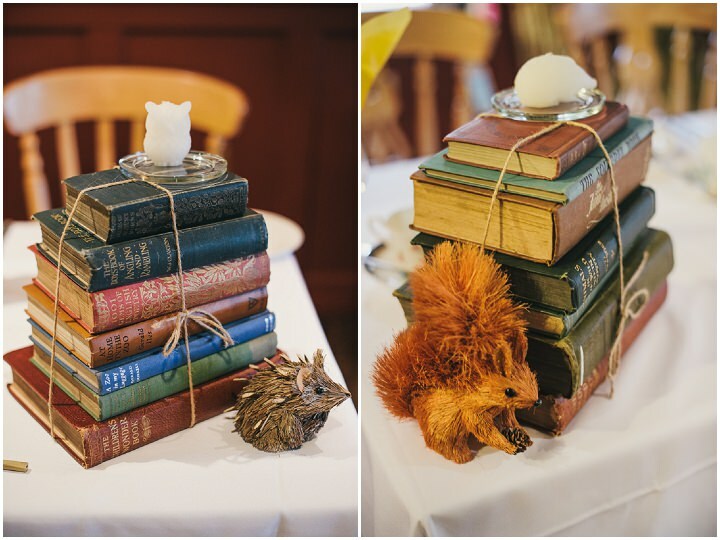 Allan has a collection of hundreds of animal books and I collect old second-hand books so it was a cheap and easy way to just use these as our table centres. 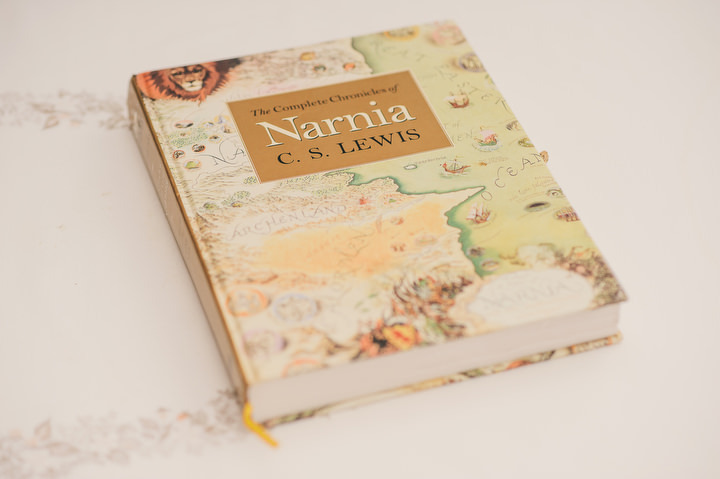 I selected my favourite books and took quotes from them for our invites, order of service, etc. 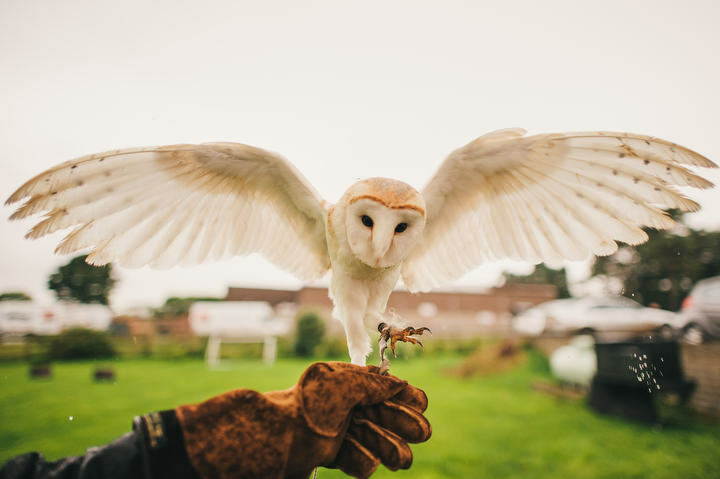 With both of us working at Belfast Zoo and with Allan being an animal-fanatic, we wanted to work these into the day but not in an over-the-top way. The invites featured some native Northern Ireland species, the table plan was a watercolour of the zoo site, the table names were some of Allan’s favourite animals and we had little clay animals made, by Animalito clay, to decorate our cake. 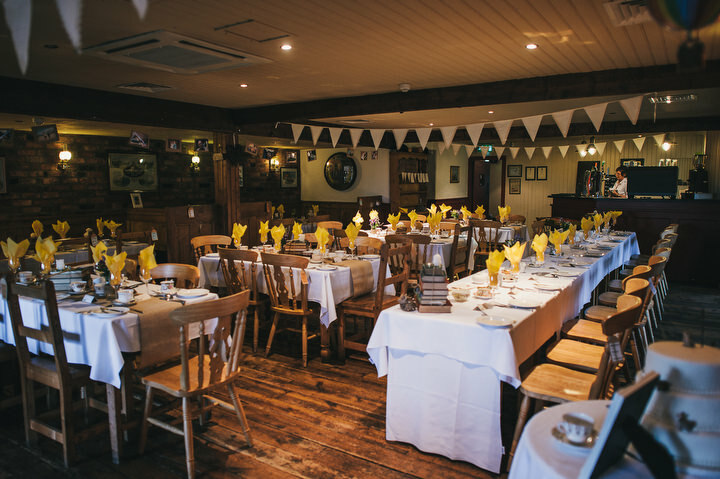 We selected the venues based on their rustic and vintage style and everything else just fell into place alongside that. 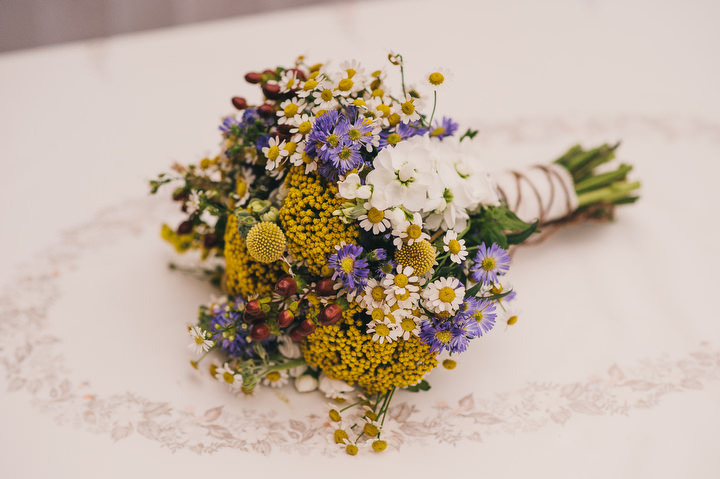 My favourite flowers are daisies and one of the first decisions we made was to have wild flower inspired bouquets. We also knew that we wanted the flowers to be whites, yellows, reds and purples while also being rustic and simple in all aspects. 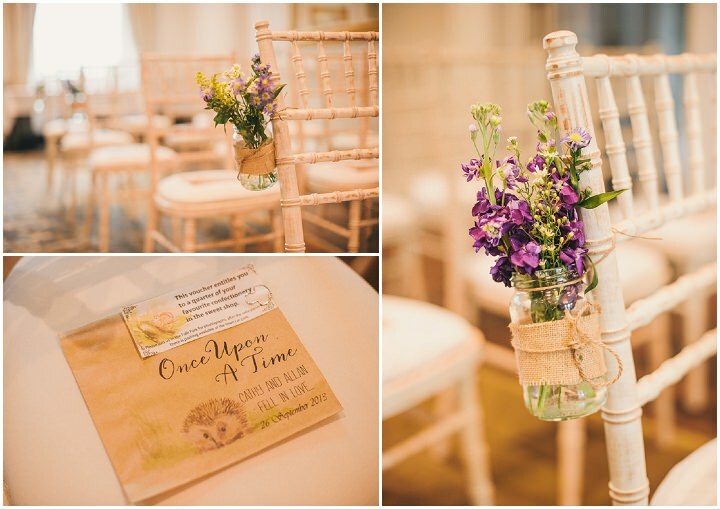 Kathryn from the Posy Barn was incredible and worked with our vision to create the most beautiful floral arrangements. 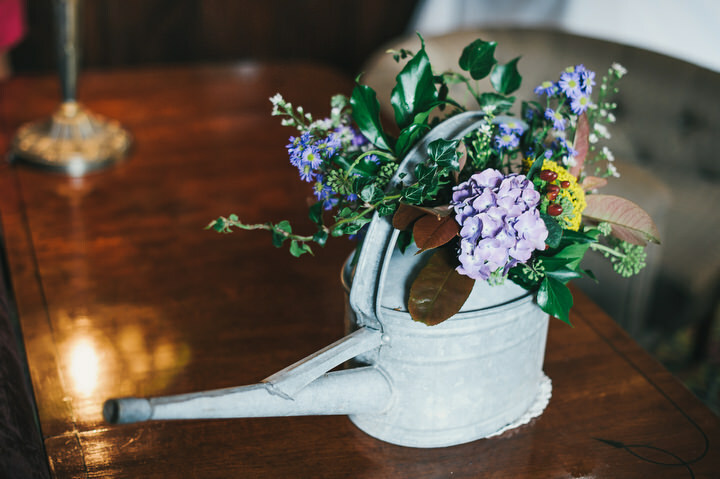 Flowers were displayed in a rustic way in jam jars and watering cans. 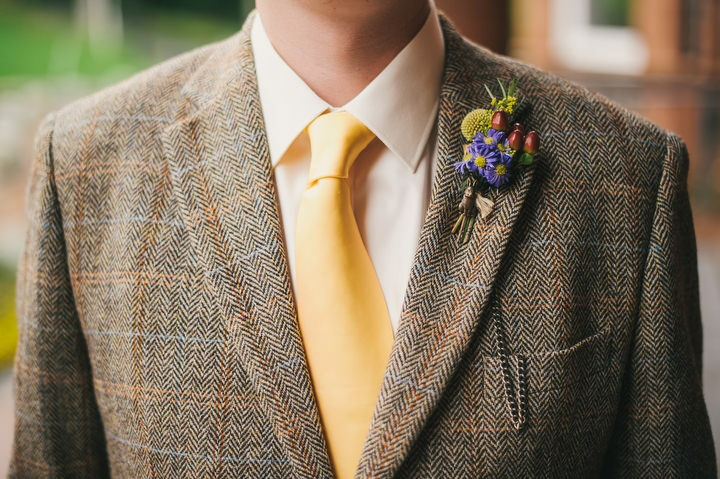 The boys also wore brass rabbit cufflinks and Kathryn attached similar brass rabbits to each of their buttonholes, to the twine around the bridesmaids’ bouquets and also into the lace on my bouquet. 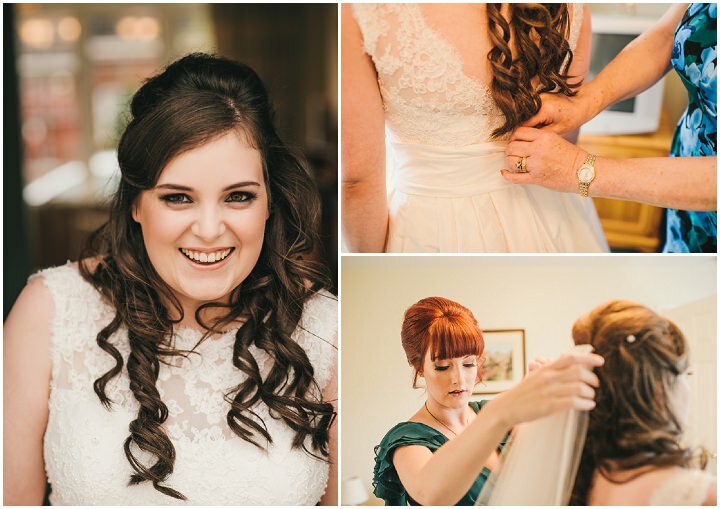 We absolutely loved working with Kathryn. She even provided lanterns and a ‘just married’ banner free of charge. There was also the added fun of visiting Kathryn’s ‘posy barn’ and meeting her rabbits and chickens! We weren’t originally going to have a wedding cake. However, it was a really important tradition that our parents were a bit disappointed we weren’t following. The wedding cake was three-tiered with a layer of chocolate, Victoria sponge cake and fruit cake. 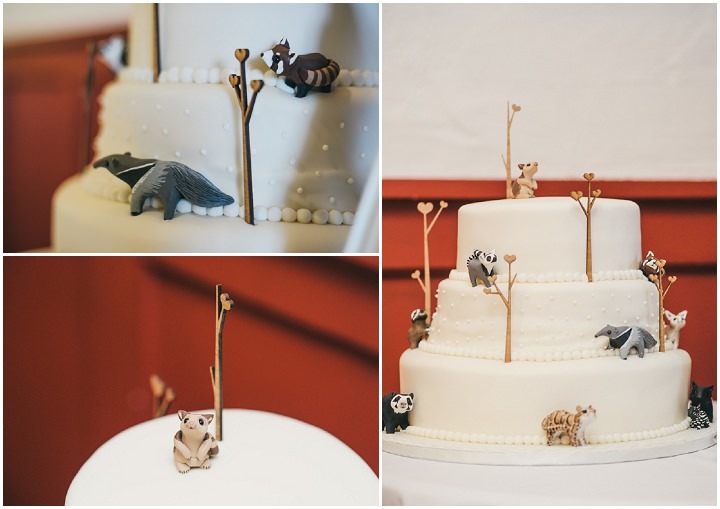 We decided early on that we wanted the cake to be a mix of both traditional and animal themes. 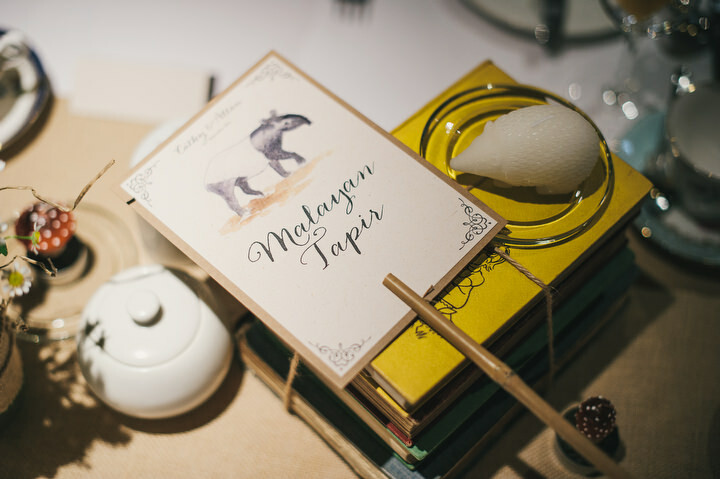 We found an artist from America who created clay versions of some of our favourite animals, including a giant anteater, red panda, Malayan tapir, Andean bear, fennec fox and many more! Instead of a traditional cake topper we hung a hot air balloon above the cake with pygmy marmosets in it! We actually had a total disaster with the cake when we drove it home, opened it and found it had toppled over. Beth who made our cake was absolutely fantastic and re-made the whole thing in one night. Allan had to drive it to the venue at 15 miles per hour with best man, Raymond, and usher, Matt, protecting the cake in the back seat. It was a bit of a drama! 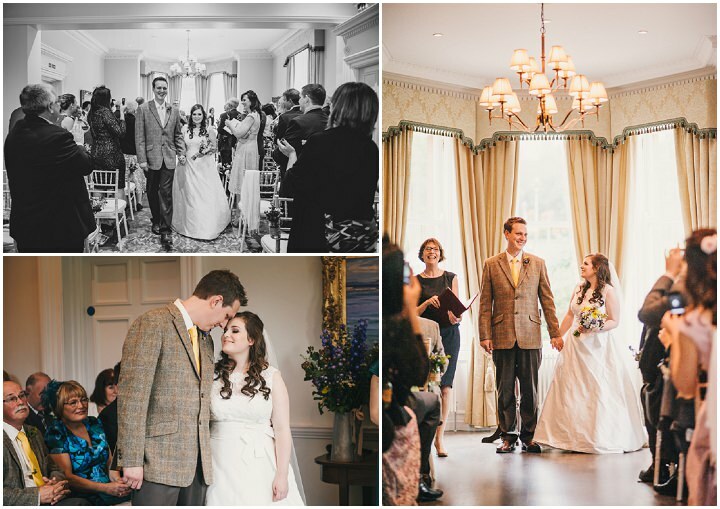 The wedding room at Cultra Manor is absolutely beautiful anyway but we hired chairs from Grace and Saviour. 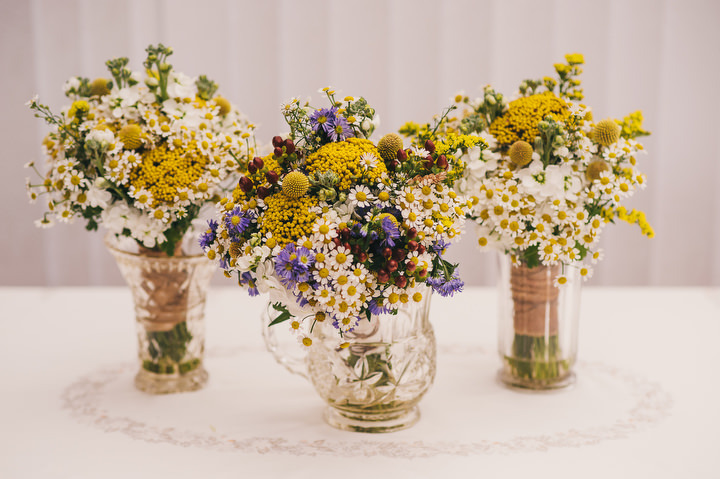 At the end of each row Kathryn from the Posy Barn hung jam jars of wild flowers. 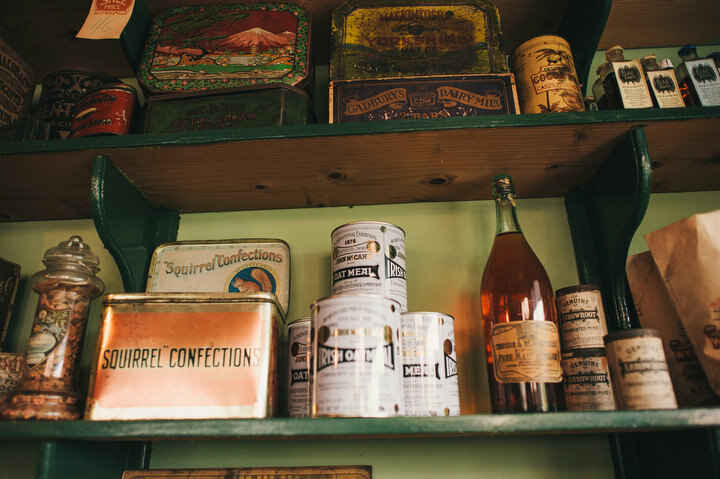 Billy Andys had lots of quaint character any way with old jars, lanterns, scales, etc around the room. 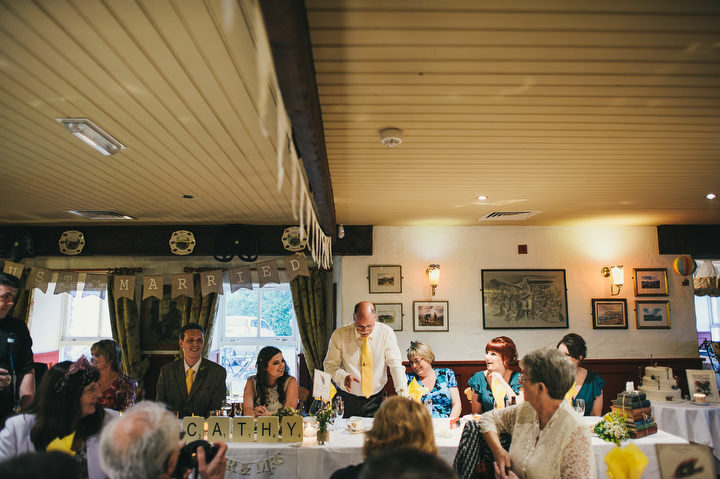 We added some lace bunting hung from the beams and also strung twine around the room which we pegged old family photos to. People loved these and quite a few got taken home as souvenirs by family members. 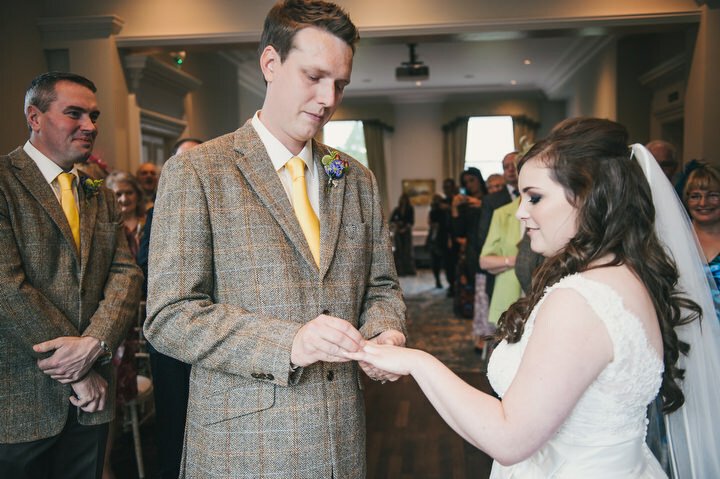 When we were organising our wedding, one of the first things we discussed was making the day enjoyable for everyone. 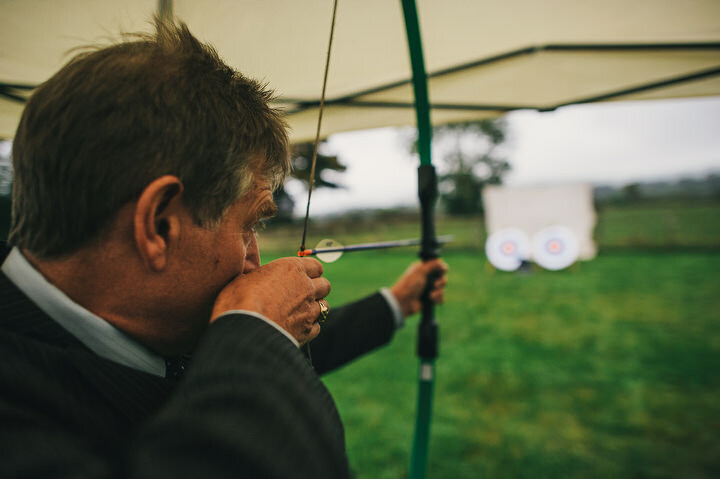 We wanted to keep people entertained throughout the day as many weddings have long periods of ‘waiting around’. 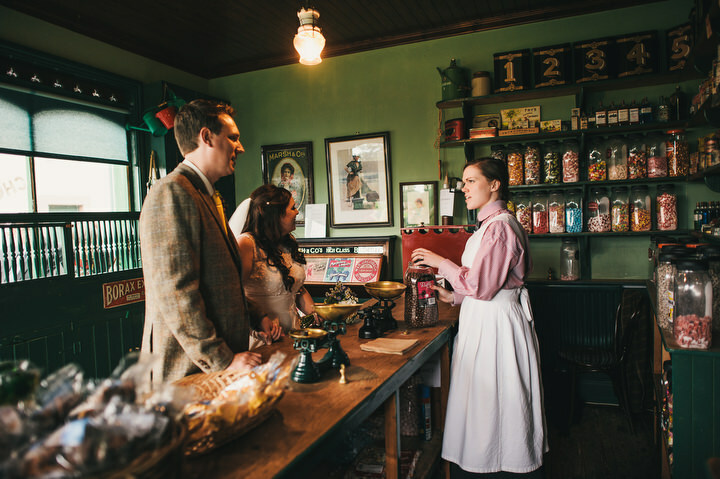 We therefore organised for each of our guests to receive a special gift bag which they were able to take to the vintage sweet shop in the Ulster Folk and Transport Museum, after the ceremony. This was also a great chance for us to greet many of our guests and get some fun photos with friends and family in and around the old town and buildings. 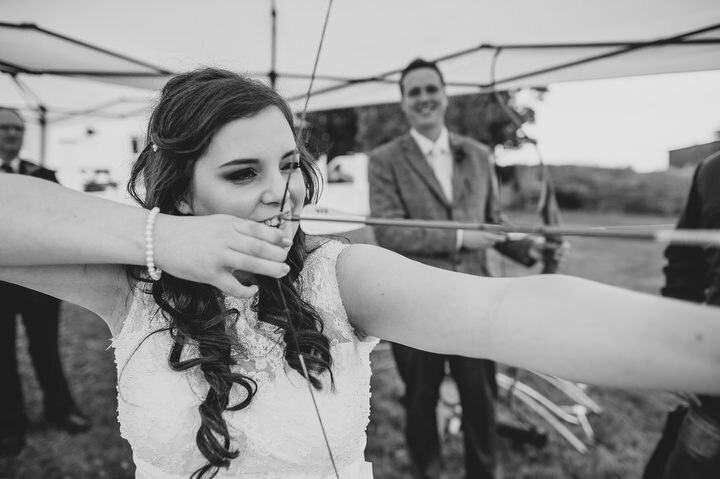 On arrival at the reception venue, we had organised archery for guests to take part in. 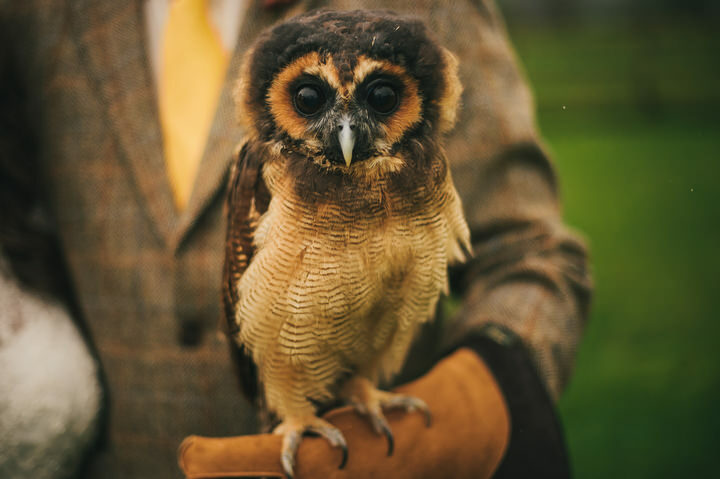 We also arranged a display of various rare and exotic owl species for guests to meet, hold and get their photo taken with. Not to mention that the guests had access to the pub area and as it was quite a chilly Autumn day, many of our guests relaxed with a pint (as it was Arthur’s day) beside the fire! In the evening we had a DJ play some classic and specially selected tunes to fill the dancefloor! 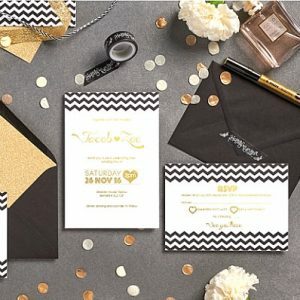 We had a really specific idea of exactly what style and design we wanted for our invites. 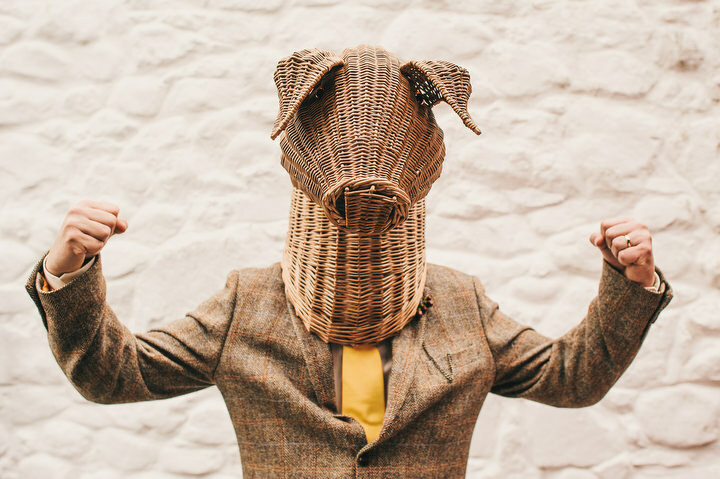 My sister Lucy (who was a bridesmaid) runs hen parties through her company ‘Whistle Bait Babies’ and I had been helping her at a local wedding fair when I came across a local company called Paperbark. 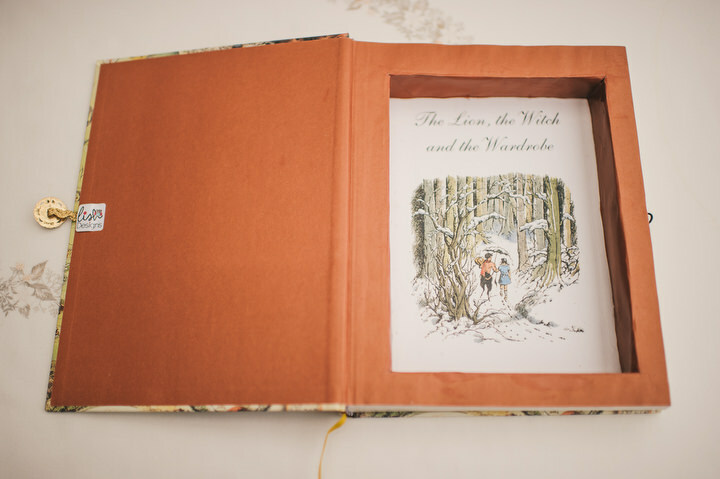 Daniel Parson creates bespoke invites in watercolours which was a natural fit for the style of our wedding. 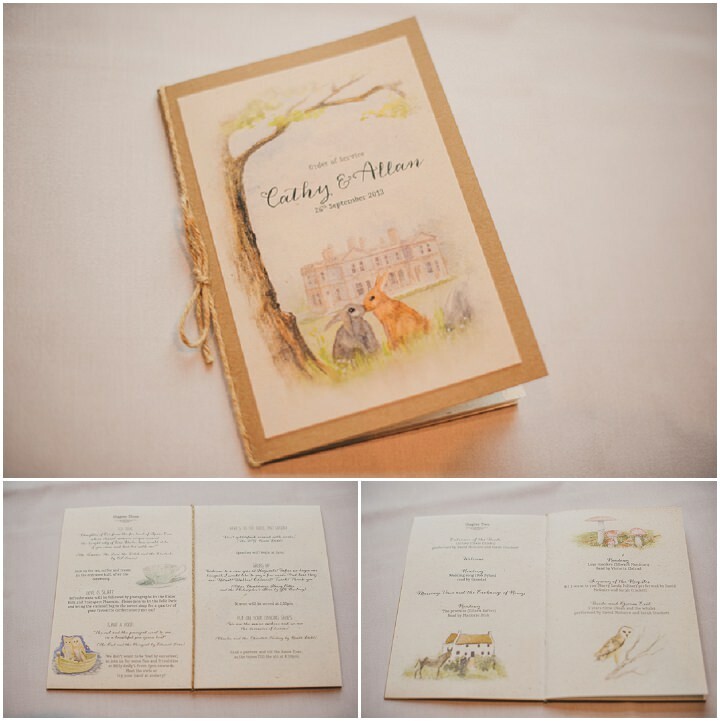 We had quite diverse stationery as with books as a feature of the wedding, we wanted them to be very visual and to tell ‘our story’. 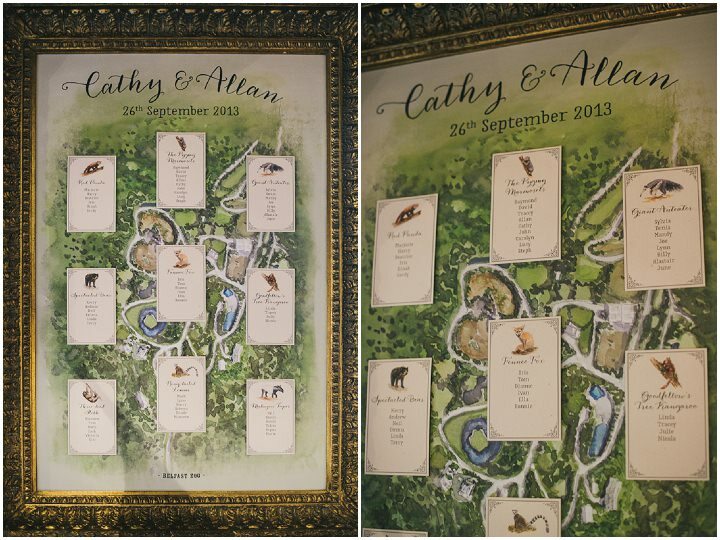 This meant that Daniel not only had to create our ‘woodland’ wedding invite and order of service but also created a watercolour of Belfast Zoo as our table plan, table names and place settings. 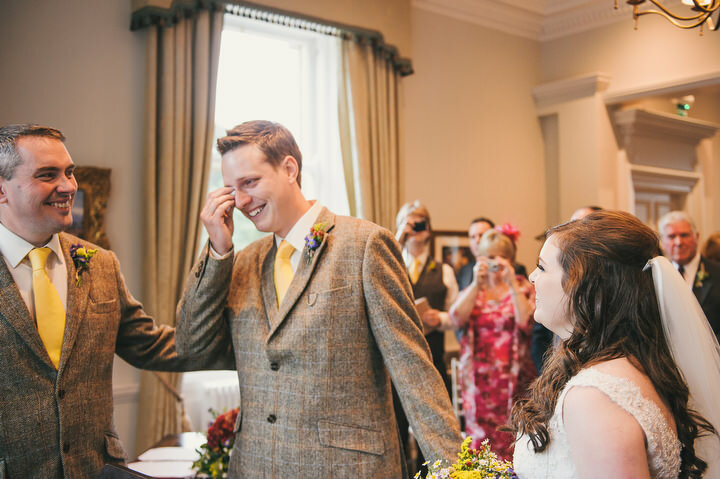 And he did all this despite having to get his appendix out a few days before our wedding and dealing with last-minute print requirements from his hospital bed – what a trooper! 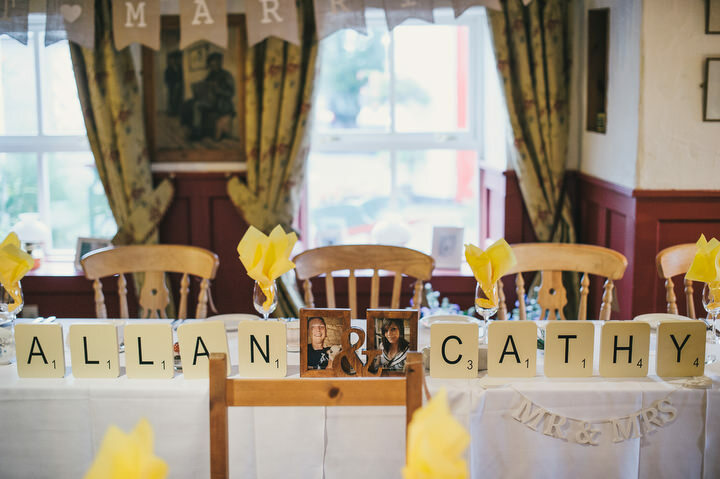 We made a number of things for the wedding, including our guest book, customised sweet bags and vouchers, photographs hung around the walls, homemade signs for the venue, etc. It’s almost impossible to pick any specific moments. 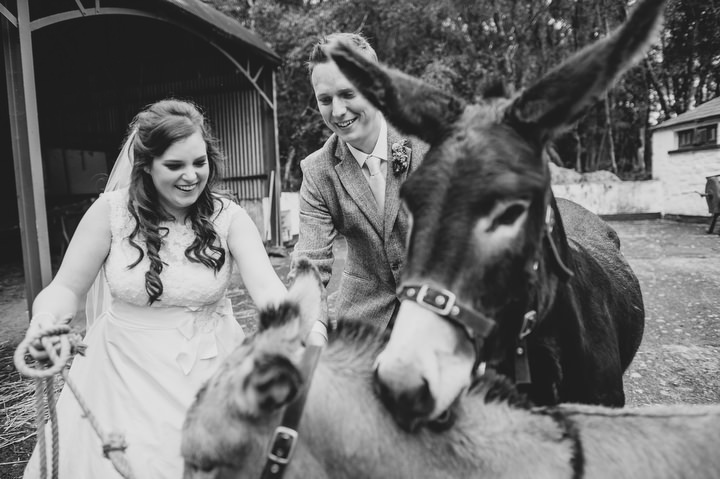 Getting our photographs with the rest of our family and the donkeys was really good fun but the whole day was so relaxed that we just had a great time spending time together and with our friends and family. Don’t worry about themes or ‘traditions’, just pick what you like and it will all come together naturally. 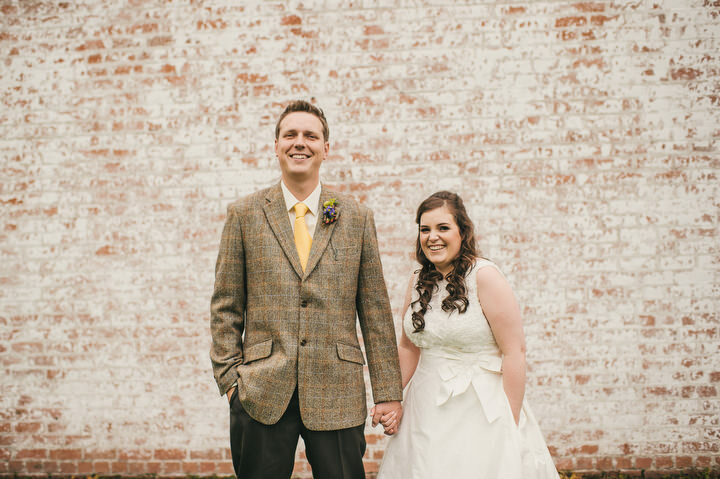 All the little hiccups, like the wedding cake falling over and having to be remade or forgetting the flowers and having to turn around in the car actually make for the best memories and the biggest laughs when we look back so just relax and enjoy! 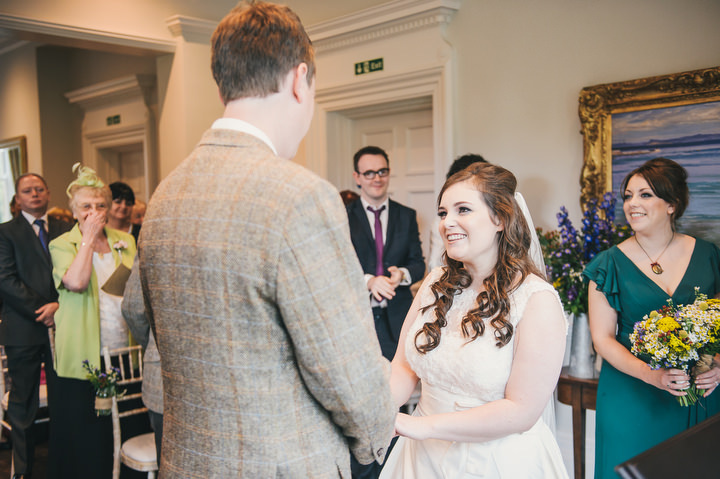 We always hated going to weddings and seeing that the couples spent hardly any time together because they had so many guests to greet. 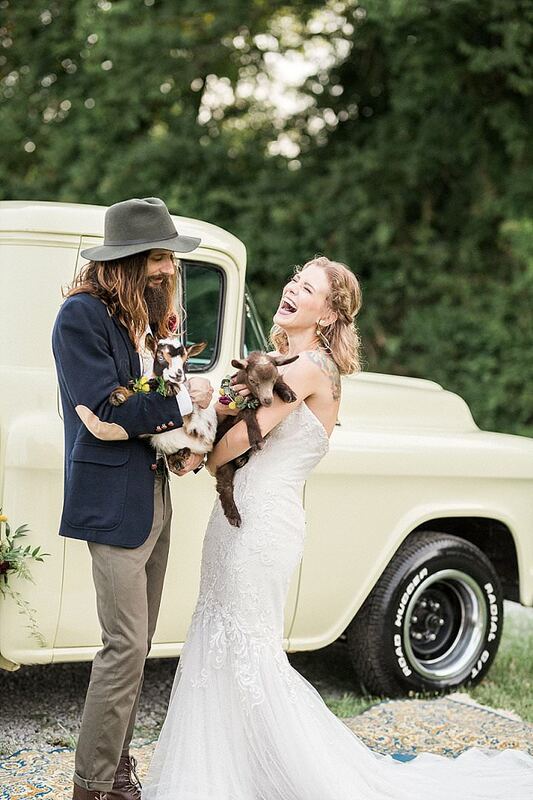 We loved that our wedding was small and personal and that we actually had a blast spending time together on the day! 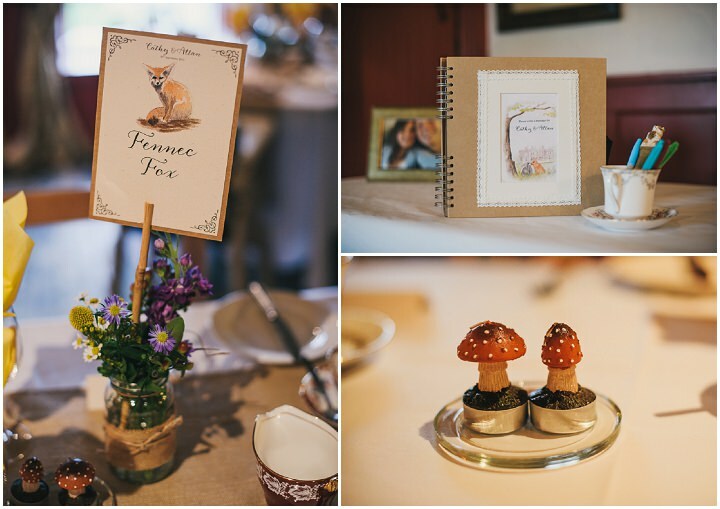 This wedding has great details! 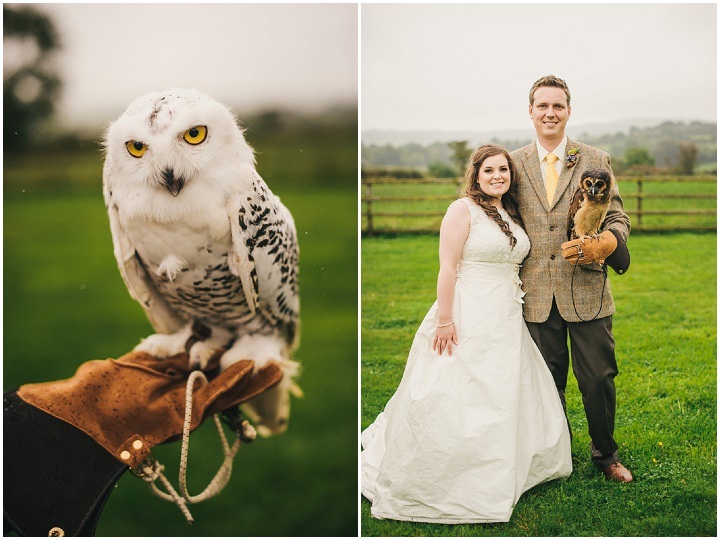 Excellent photos, beautiful bride and groom – a wedding with a difference, love it !! !